This post will be about the Night’s Watch, the monastic order of wardens who guard Westeros from whatever terrors dwell North of the Wall. If you don’t know what I’m talking about, you haven’t been watching Game of Thrones or haven’t read the book series the show is based on. You might as well stop reading now, since what follows will either be spoilery or won’t make all that much sense. I trust you’ll see yourself out. Game of Thrones? That show’s ridiculous! Let me explain all of the show’s failings as we head out on our two-week-long patrol. Now that Those People are gone, I can continue. Ye Olde Night’s Watch – So what happened? Allegedly, roughly 300 hundred years before the events of Game of Thrones (when Aegon the Conquerer showed up with dragons and began to unite the Seven Kingdoms into one mega-kingdom) the Night’s Watch had roughly ten thousand men in service at the Wall. That’s quite a lot more than (roughly approximated) the thousand black brothers guarding the North when Jon Snow took his vows. What happened? How is it that in the course of 300 years (roughly, I’m all about approximating and not doing research) that 90% of the Night’s Watch manpower faded away? Did the Targaryens secretly have it in for the Night’s Watch, and began to hunt down groups of them with dragons? 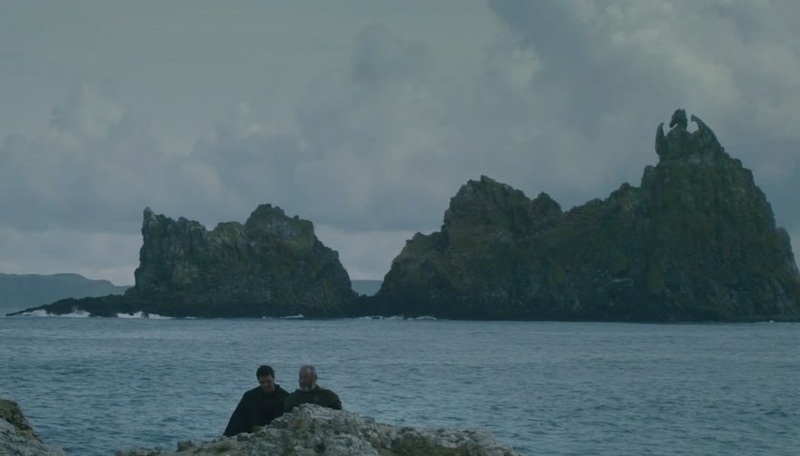 Did the crime rate in Westeros drop dramatically, and so there wasn’t a steady stream of goons and hooligans being sent to the Wall in sufficient numbers? Did the Targaryens for some period of time impose a one-child/one-family policy among the nobility, and so there weren’t any second sons with limited prospects willing to go to the Wall? Uh, the answer to those questions are probably No, Probably Not, and Not That I’ve Heard. Although they’re interesting questions to ask and might be worthwhile to briefly consider. As far as we can tell, the Targaryens didn’t have any beef with the Night’s Watch. After all, the leader of the Night’s Watch during the Targaryen conquest had a large army at hand and was brother to Black Harren, the Ironborn King who was defiantly squatting in Harrenhal in the Riverlands. (And then Balerion the Black Dread melted Harrenhal, and that was the end of the Ironborn overlording it in Westeros.) True to the Night’s Watch ethos, they did not get involved in the strife happening in the realm, since it wasn’t their business. 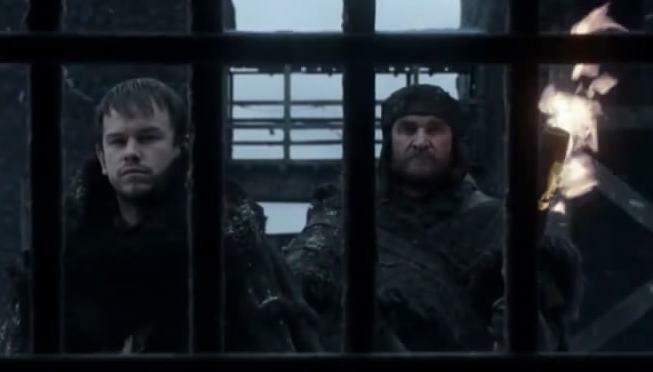 Although the current demographics of the Night’s Watch seem to heavily be weighted towards the criminals-sentenced-to-the-Wall end of the scale, in the past it was not so. We have many references in the show and books that the Night’s Watch was an honorable set up. It’s not that the Lord Commander of the Night’s Watch had 10,000 rapists and poachers at hand. They were probably mostly honorable men, minor nobility, smallfolk who had felt a calling or had been inspired by stories told by Night’s Watch recruiters, and northmen who felt they owed their countrymen their service in keeping things north of the Wall north of the Wall. We can assume that the birthrate among the noble class was roughly the same back in Bran the Builder’s day as it was in young Bran the Don’t Climb That Tower Young Man‘s day. Like our world (in ye olde medieval times) the firstborn son usually got everything, and the second and third sons (etc.) didn’t get much to work with. Some might hang around (like the Freys did at the Twins, piling up) and others might try to take service in other, more major households, if they could. But they’d all be welcome at the Wall. Great and small. 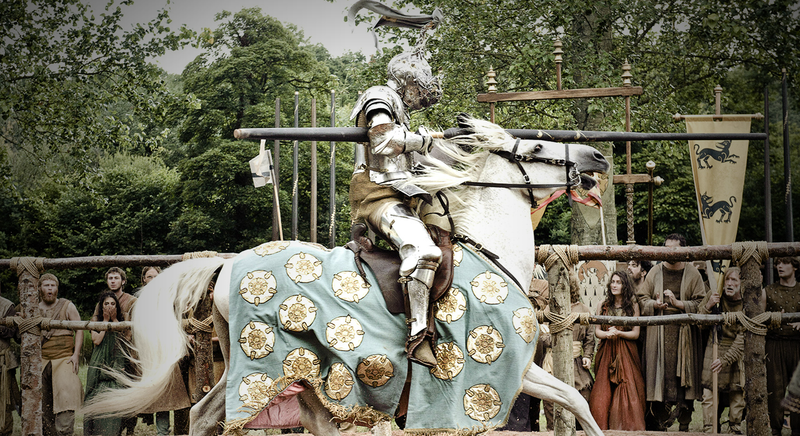 If Westeros nobility were anything like British aristocracy going off to war, entering service often meant bringing some servants along as well. It’s quite possible that a second son would have loyal men who would follow him into service at the Wall. Once they were all black brothers, they’d technically all be equal, but I suspect some people are more equal than others, even among the ranks of the egalitarian crows. Still, there would be less class distinction. The common man might see service at the Wall as a step-up, depending on how bad things were for them locally. The Night’s Watch controlled a great deal of land, probably had peaceful lives relatively speaking, since there were no greedy minor nobles as neighbors who felt they could steal their land. Sure, there was always a threat of the Others showing up, but they hadn’t been active in thousands of years and with almost all of the castles manned at the Wall, Wildling incursions were probably at an all time low. 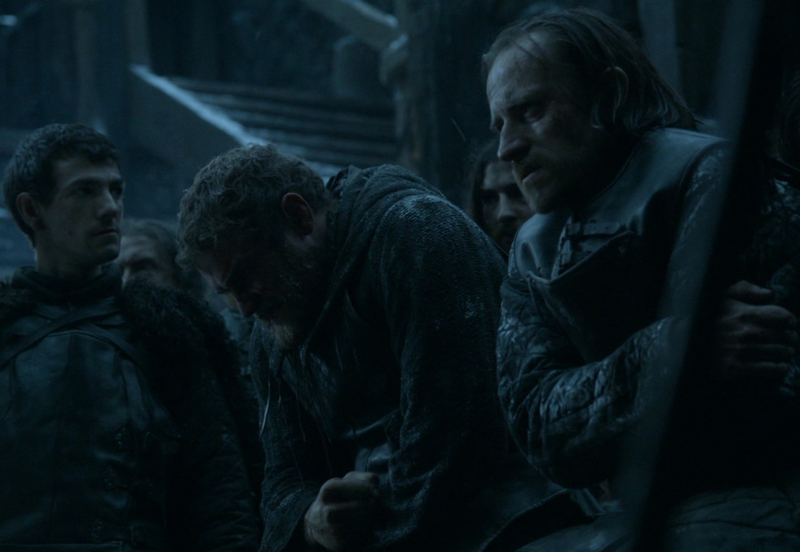 In fact, there was probably more trading going on between the Watch and the Wildlings than actual conflict. So, if that’s the case, why the huge drop in numbers? I do think that the Targaryens are to blame in some ways, but their effect was largely indirect. 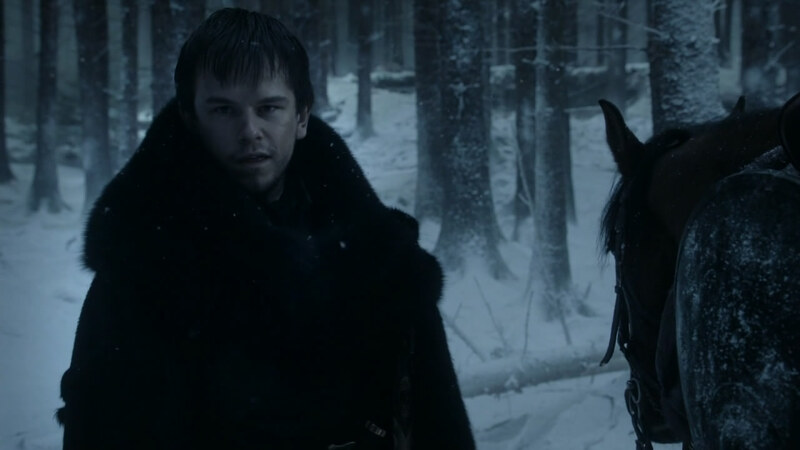 My root cause for the demise of the Night’s Watch took place 100 years before. The Doom of Valyria. Valyria? The Doom of Valyria is the also the Doom of the Night’s Watch? Just 400 years later? Madness! Before there was one king to rule them all, a citizen of any particular realm in these distinct kingdoms probably enjoyed the legal protections extended by their local king. But just don’t travel far, buddy. Being from a foreign kingdom, even if culturally the same, would afford less protections so travel among the kingdoms was probably less frequent or less attractive before the Targaryens than in the post-conquest times. Because of this lack of mobility before the Westeros unification, if second son nobility or honorable peasantry wanted to seek their fortunes elsewhere, they were probably limited to do so within their kingdom. Or to go to the Night’s Watch, which didn’t make distinctions among the kingdoms in the south. Black Brothers, on Night’s Watch business of course, could travel the lands and always enjoy protections afforded to a member of the Night’s Watch. This kind of diplomatically-immune status would probably seem attractive, since nobles might respect their counsel and objectivity, leading them to host the traveling brother and take advantage of their viewpoint and experience while they were en route. So, men of the Night’s Watch had a relatively peaceful, relatively prosperous life up north (just without women. I’m not insinuating that there’s a connection there as well, boom.) And when out among the people, were probably regarded as legendary characters. But with the conquest, these borders were opened up. Someone from the Stormlands traveling in the Riverlands wasn’t someone from another kingdom, they were just a citizen from another part of the Seven Kingdoms. Everyone was protected by the King’s Peace. The Kingsroad and other roads were built and maintained to facilitate travel. There was therefore more opportunities available, ones that didn’t require being cold all the time and being celibate. So, the stability and mobility afforded by the Targaryen redefining the geopolitical boundaries began to limit the reasons for honorable men to seek service at the Wall. WAIT? HOW IS THIS DOOM RELATED? Well, the indirect cause of the Doom of Valyria is this: the Targaryens had emigrated from Valyria before the Doom, to occupy Dragonstone, the island fortress just off the coast of Westeros. So they survived the destruction of old Valyria when the cataclysm happened. During the years after, the Targaryens decided to abandon Essos entirely and just conquer Westeros next door. Thanks to the Doom that destroyed the Valyrian culture and plunged Essos into chaos and turmoil, backwoods rustic Westeros seemed far more attractive in comparison. 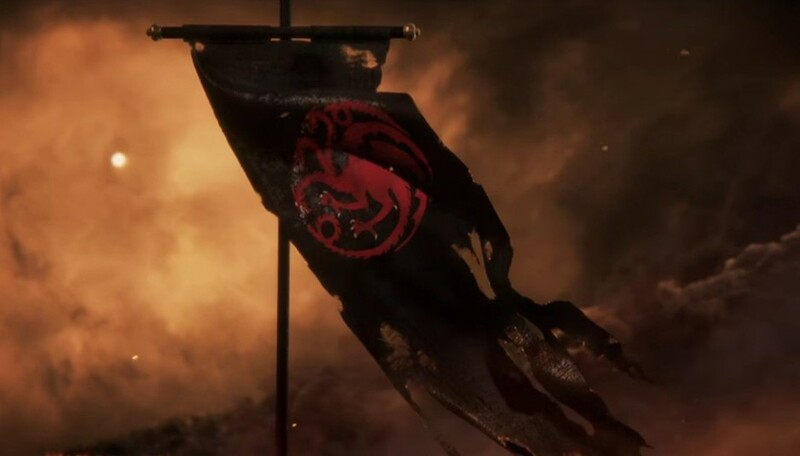 So the Targaryen’s took over and began to change the landscape (metaphorically) and create conditions that started the decline of the Night’s Watch. But the larger impact of the Doom that came to Valyria is this: it broke Essos up from being a Valyrian controlled super-state into dozens of independent city-states and small countries. Kind of the opposite of what happened in Westeros. Without central authority and control, the city-states began to squabble and fight. There’s a large area in Essos called “the Contested Lands.” With constant warfare, there’s a call for experienced and trained fighting men. Not necessarily only to fight, but to lead. The highborn in Westeros get military training. It’s kind of a given. If you’re a second son of a minor noble house, you might be able to take service with a larger house, and you could always join the Wall. But the idea of making some fat stacks of cash overseas might be more attractive. Fighting men native to Essos are also the larger part of the mercenary forces serving the merchant princes who had risen from the remnants of Valyrian-held territory, but there were significant populations of men from the West among their ranks. Some may be expatriates seeking their fortune, and some might be exiles like Ser Jorah, who found the prospect of either being beheaded by Ned Stark or leaving his beautiful Highgarden wife to become a man of the Night’s Watch a choice he would not make. Before the destruction of Valyria, there seemed to be little commerce between Essos and Westeros. There was certainly contact, as evidenced by Valrian steel swords held as treasured heirlooms among the great houses of the Seven Kingdoms, but it seemed unlikely that backwards Westeros would have much to offer advanced Valyria, which controlled a vast empire of resources. 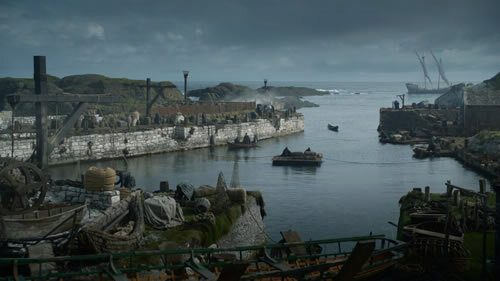 With the shattering of monolithic Valyria into small, squabbling entities, trade economics shifted to provide many markets for Westeros’ many ports. This provided new demands for labor that otherwise might have sought a future in the legendary North. The Doom of Valyria might have been a cataclysm for the Valyrians, but it was eventually a boon to the emerging merchant class in Westeros. Just not so much a boon for the Night’s Watch. So, would the Night’s Watch still be vibrant and well staffed had the Doom not happened to Valyria? I have no idea. I’m just a guy with a blog. But I think it makes for an interesting discussion. Maybe my geo-economic theories are wildly off-base. Maybe I’m crazy-crazy correct! Some of my eagle-eyed readers might have noticed that this is my second Game of Thrones blog post for this week. I’d already had my Wildlings post scheduled (and there’s one scheduled for next week, the last one before Season Six starts) but I was listening to Podcast Winterfell this weekend, and the question was asked of just why the Night’s Watch numbers have evaporated so sharply during the reign of the Targaryens. Oh! And another thing. The decline of the Night’s Watch is somewhat of importance, since winter is coming and the past five seasons of Game of Thrones have not been kind to the men guarding the Wall. They’re down to hundreds of men. 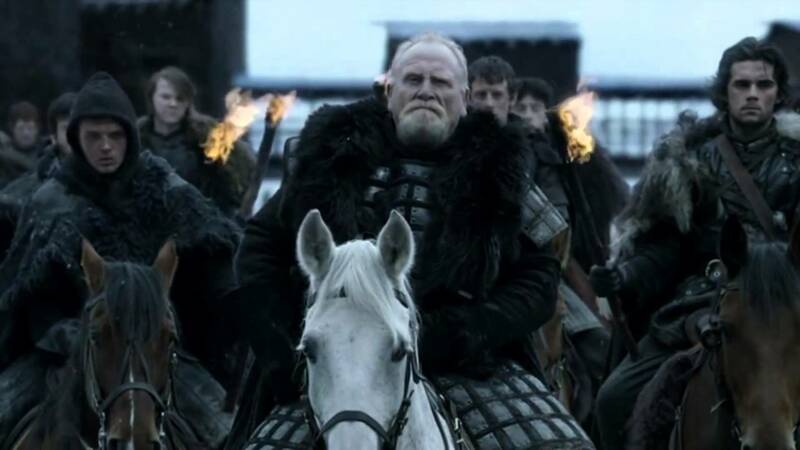 Assuming any survive the approach of the Others, who are certainly going to be getting past the Wall at some point, what will be the strategy to re-establish the far northern defenses in preparation for the next Long Night when the White Walkers ride and their wights walk? I have some thoughts, but I can save that for another post. Thanks man, I’m glad it was informative. Thanks for the feedback! Ah… Oooh… You are so knowledgeable! (I don’t know why I felt the need to say that in the voice of Toy Story aliens!) Seriously though, you have so much background knowledge that I assume is from the books – I don’t think I could ever hope to absorb all this from the shows. Or maybe I’m just a bit thick! You’re not thick, my brilliant friend! I did cheat and use some facts from the books, like Night’s Watch troop strength during the conquest, who the Lord Commander was, some details about Essos, etc. But a lot of it was just thought-experimenting. I like that I have you thinking about what needs to be done to replenish or replace the NW. What I love about Planetos is its history and background are as rich as our own world. Actions have consequences (we learned that lesson in the first book), and events are the foundation of ascents or declines. Your logic in this is hard to argue with. Even if the Targs weren’t the catalyst for the NWs decimation (like…kinda literally in a way), change breeds change, and opening up more avenues to Essos would give people who only had one option (life with the Watch) many more. Nice use of decimation! Very apt. Thanks for the feedback, I share your appreciation for the rich history of Martin’s world. Thanks again! But seriously though, your train of thought makes sense and I love learning more about Westeros history that we don’t get from the show. I think those tidbits give so much more depth to the story. The thought occurred to me; that after the White Walkers and their dead goons have added a large chunk of the Westeros population to their ranks, who will be left to man the wall? I’m thinking that conscription may be necessary. Five people from each village or better still, one from every household. Seems fair! Huh.. maybe the Nights Watch will need to relax their “no women” rules and start to include women in their ranks (no hanky panky allowed, of course). Yeah, the role of the Night’s Watch and how it’s to be manned (or manned and womanned, you know what I mean) and maintained will need to have some overhaul. And thank you for your kind words, TC, it’s good to hear from you. Really interesting idea here. You certainly did your homework. I’d always taken the simpler approach and assumed that as fear of the White Walkers diminished, so did the perception of need for the Night’s Watch. And the more they had to rely on criminals to bolster their ranks, the more unpleasant its reputation got. I think your explanation is a lot more compelling though. 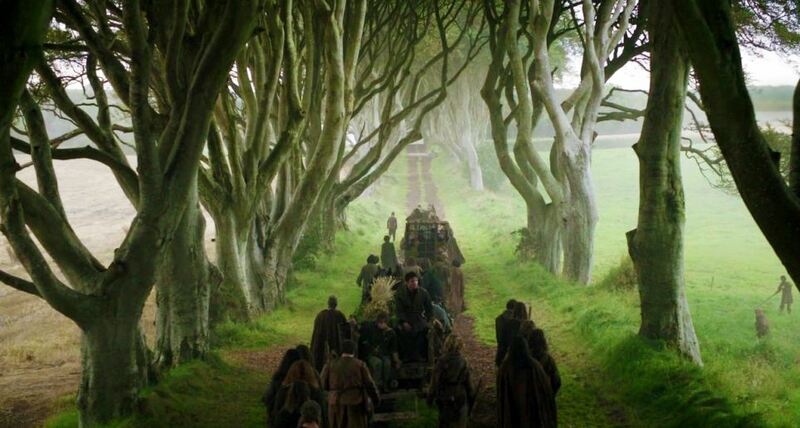 From the Swamps to the Heights: Some Things In Westeros Just Aren’t Right.